There seem to be a million and one crowdfunding platforms nowadays, and it gets ever harder to tell the differences among them. That said, one new platform for personal crowdfunding stood out for me this year is Ledge. Ledge’s advantage is that borrowers are expected to eventually pay backers back, making it a sort of crowdfunded loan system. Moreover, the app makes it really easy for them to do so. The key is tight integration with Venmo. 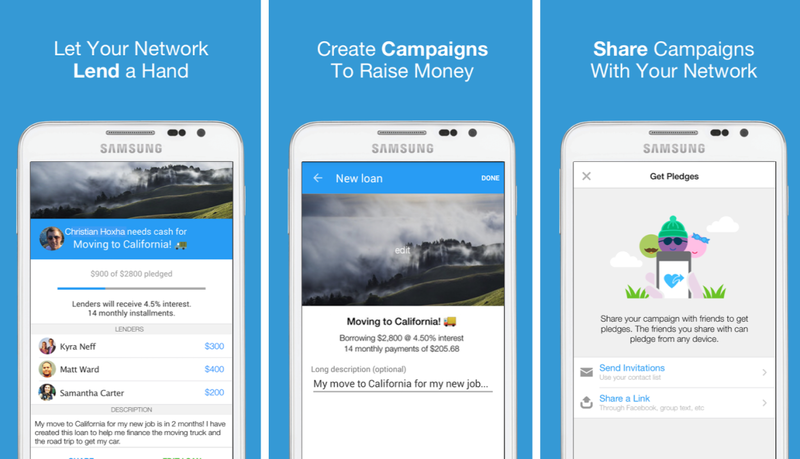 The borrower sets a repayment start date and length while creating a campaign, and once the funding goal is met, payments are automatically returned to backers. Basically, nobody has to move a finger after the initial campaign is complete. The other element is that borrowers pay interest upon returning the money (they set the interest rate when making a campaign), so backers are actually getting a little extra cash out of helping someone for a good cause. It’s a super simple way of borrowing money from friends, family and strangers, without the hassle of remembering how much you have to pay each individual, dealing with a bank and the moral ambiguity that are oftentimes present in other personal crowdfunding platforms, as everyone gets their money back. If you want to give it a try, head on over to Ledge.me, or download the Android or iOS app.